Genetic testing has become available to the masses thanks the companies like 23andMe and Ancestry.com. Marla Ahlgrimm says this has given individuals more power to take control of their health since many of the tests are FDA-Approved to screen for genetic markers associated with health conditions, such as deep vein thrombosis, Alzheimer’s, and Parkinson’s disease. In 2018, Michigan State University researchers took things one step further. Q: What can DNA predict? Marla Ahlgrimm: People inherit DNA from both of the parents, who, in turn, inherited DNA from their parents and so on. It’s widely accepted that children inherit approximately 50% of their genes from their mother and 50% from their father. 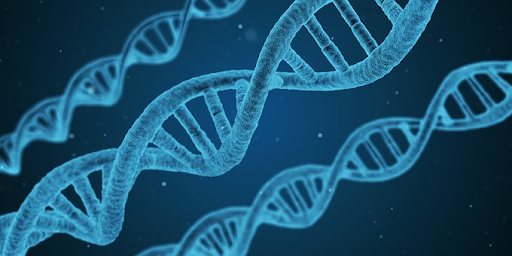 These genes share markers with certain populations that can help predict things such as eye color, skin tone, and an individual’s region of genetic origin. But they can also offer insight into more important subjects, such as medical risk. Q: If an individual inherits genes that put them at risk for disease, will they develop this disease? Marla Ahlgrimm: Not always, however, depending on the marker, a person’s risk can be elevated. Knowing what genes you carry can help you and your healthcare providers delay or prevent illness altogether. Further, these markers can serve as a guide point in helping your physician identify treatments that will work and which won’t. Q: What is different about the tool created by Michigan State University? Marla Ahlgrimm: Researchers today have access to more information than any group of academics in our history. And while standard genetic testing looks for changes or mutations within chromosomes, this new model utilizes machine learning to look at genome differences based on more than 10,000 variants. Q: What can this new modeling identify? Marla Ahlgrimm: While in its early stages, this new test was found to accurately predict people’s height 100% of the time. It also had extreme accuracy when identifying bone density, which can help people identify their risk of osteoporosis. The implications are that this type of testing may be able to better identify diseases faster and more accurately than ever before. The best part is that researchers anticipate that testing will cost around $50, making it available to persons in all income brackets.